Your 4X4 driver will take you around the island and visit Maeva’s marae, Faie’s enormous blue-eyed eels and Maroe’s Belvedere viewpoint. You will also visit the only pearl farm on the island and the traditional fish parks. 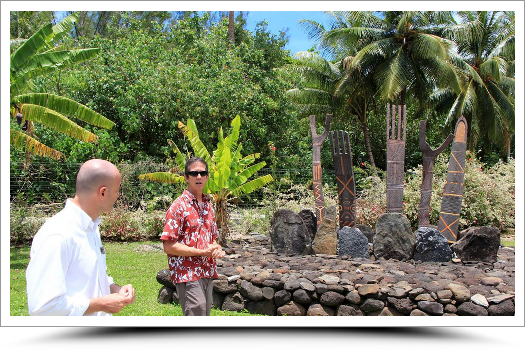 You will learn about the island’s culture and legends as your tour progresses. The lunch will take place in a restaurant of the island (extra fee to pay on the spot). Tour Includes: The main village of Fare Main shops, groceries, pier and administrative offices. The village of Maeva: The most impressive archaeological site located lagoonside in the village of Maeva includes one main platform and several smaller marae. This site even extends on acres mountainside. Your guide will explain you what these marae were designed for in ancient times. It is also in the village of Maeva that you can see former stone fish traps; a few fishermen still use this ancient technique. Vanilla plantation: Visit and learn how the plant is grown, the flower pollinated and the vanilla bean dried to give this treasure of fragrance and taste. Pearl farm: Visit the only pearl farm on the island accessible by boat only a few minutes from the island. Your host will explain the long process before being able to collect the precious black pearl. “Belvedere” viewpoint:Stop by the Belvedere viewpoint to take pictures and enjoy the view on the lagoon and bay. Eels in the village of Faie: The huge blue-eyed eels…meet them in a river in the village of Faie. The South of the island: The smallest of the 2 islands, is mostly agricultural but also houses a few marae. Visit Huahine from the air-conditioned comfort of a 4×4 and explore the many archaeological sites remaining on the island. Huahine is also known as the Garden of Eden because of its famously tasty fruit. Huahine’s legends and history will take you on a journey from the river where the blue-eyed eels dwell up to the Belvedere with scenery to make your heart swell. 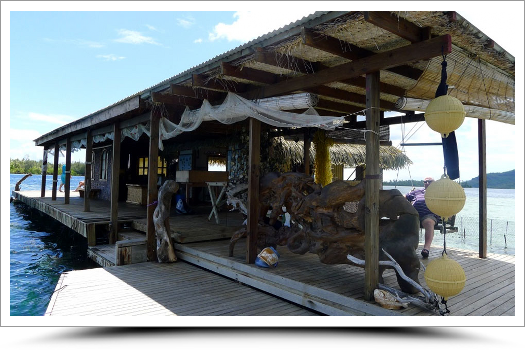 Tour Visits: Village of Fare The main village of Huahine with its the only supermarket of the island and the popular pier, main halt for cruise ships. Marae of Maeva village: Former village of the royalty, Maeva still shelters numerous of “marae” (ancient temples). Stop before melons and watermelons plantations. Pearl Farm: Stop at the overwater pearl farm where you will learn about the different steps before being able to collect a pearl from the mother of a Pearl shell. On the spot, Pearls are also available for sale. Blue-eyed eels: Stop at the river of the blue-eyed eels in Faie before heading to a panoramic view point. Vanilla plantation: The opportunity to learn more about this orchid and the long process before tasting this spice recognizable by its delicate scent. 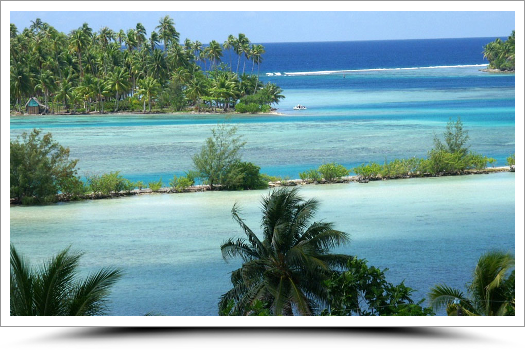 This Full day tour on board a very comfortable motorized canoe, explores the beautiful island of Huahine. 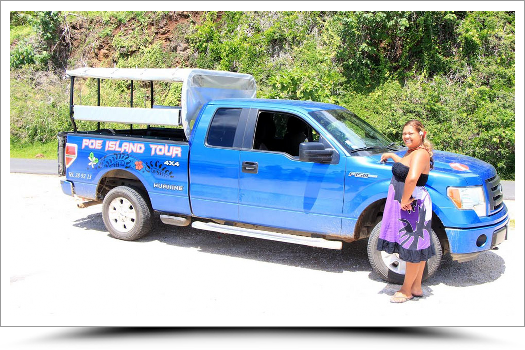 The captain will share with you all about the island history, sacred legends and Polynesian life… The canoe takes you to the village of Faie to visit the sacred eels with blue eyes and visit the Black Pearl Farm of Huahine. Then stop at a coral garden for a memorable snorkelling, visit the different villages of Fare, Fitti, Maroe, Faie, Tefarerii. 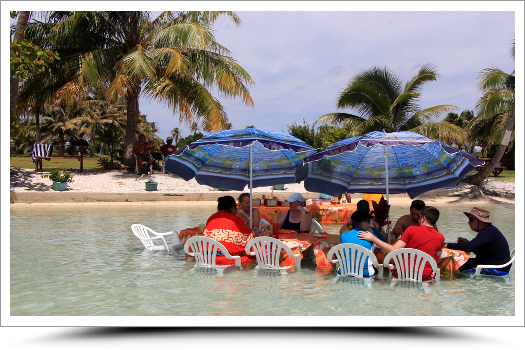 At midday, reach the beautiful “motu” (islet) of Tefarerii for the picnic, enjoy a coconut show, great Polynesian marinated fish preparation, local food, island fruits : a true homemade lunch seated in the turquoise water !!! Water and fruit juice are included. Enjoy a Pareo show, learn & make a Polynesian basket with coconut leaves… After your picnic lunch, the tour will progress towards Parea to visit the “Garden of the Wild Ray”s, then Fare for final Coral Garden. The tour begins with a visit of a Black Pearl Farm. Here your guide will let you know all the technical works it takes to create this fabulous jewel which a pearl is. The boat will then take you to a beautiful Coral Garden. It’s time to put your mask & snorkel and meet all the small colourful tropical fish. Lunch is then served on a beautiful tropical motu. The buffet includes raw fish (cooked with lemon, coco milk..), salads, fruit of the island. The tour around the island will end after the last stop : a natural “aquarium” where your guide will feed the tropical fish. 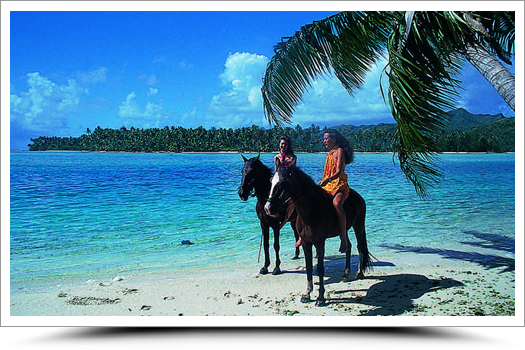 You will discover the landscapes and trails of the North of Huahine through this full day riding including a lunch by the lagoon. The tour begins at the equestrian center for a presentation of the route and horses and to try on the riding hats. You will be able to start out in the courtyard before starting the tour. You will then leave for a ride along a beautiful beach, across nature in the undergrowth to Faanui Lake and archaeological sites of the Village of Maeva and its impressive marae. Lunch will be served lagoon side, you will have time to rest before continuing the ride back to the equestrian center. Accessible to both beginners and experienced riders, your guide will adapt the tour to the different riders’ levels. Huahine is renowned for its Royal Village of Maeva, considered as one of the most important archaeological areas in all of Oceania. Traditionally, Maeva was the seat of all Royal power on the island hence the interest for all remnants of old times. The numerous stone fish traps in lake Fauna Nui helped to supply an abundance of food for these royal villagers. Located just above the village of Maeva, you will visit Mata’Ire’a hill. The area is home to more than 200 stone structures, including “marae” (ancient open air temple), agricultural terraces, house foundations, fortification walls and burial platforms. Then, enjoy the visit of a fruit and vegetable plantation, feed the giant blue eyed eels at Faie village & drive up to the Belvedere lookout for a beautiful view of Maroe Bay and Huahine Iti. Stop at the bridge between Huahine Nui and Huahine Iti and pass through Fiti’i village to see the main town of Fare, a charming village, testimony of a modern but traditional island life. Village of Maeva: Huahine is renowned for its village of Maeva, where all district chiefs once lived side by side and worshiped their ancestors at their respective marae. Marae are places including stone structures set aside for religious rites and ceremonies. 200 archaeological stone structures have survived centuries of natural destruction. These structures lie within yards of one another along the shore of Lake Fauna Nui and on the sacred and scenic Matairea Hill. Vanilla plantation and fish traps: Also located in the village of Maeva, you will visit a vanilla plantation and learn how this plant cultivated and the beans prepared to become this treasure of flavor. The village of Maeva is also sheltering the remains of stone fish traps unique in French Polynesia. There are still fishermen using stone traps in the village. Motu Maeva, Marae Manunu: You will pass a watermelon plantation, the most tasteful are from Huahine! A stop on a beach oceanside before visiting Marae Manunu where is located the tomb of Raiti the last great priest of the village of Maeva. Faie: The home of the sacred blue eyes eels…you will also stop by the belvedere view point on the bay of Maroe. Huahine Iti: You will enjoy the view on the magnificent lagoon of Huahine from Mahuti view point before continuing the discovery of the island botany through your guide.